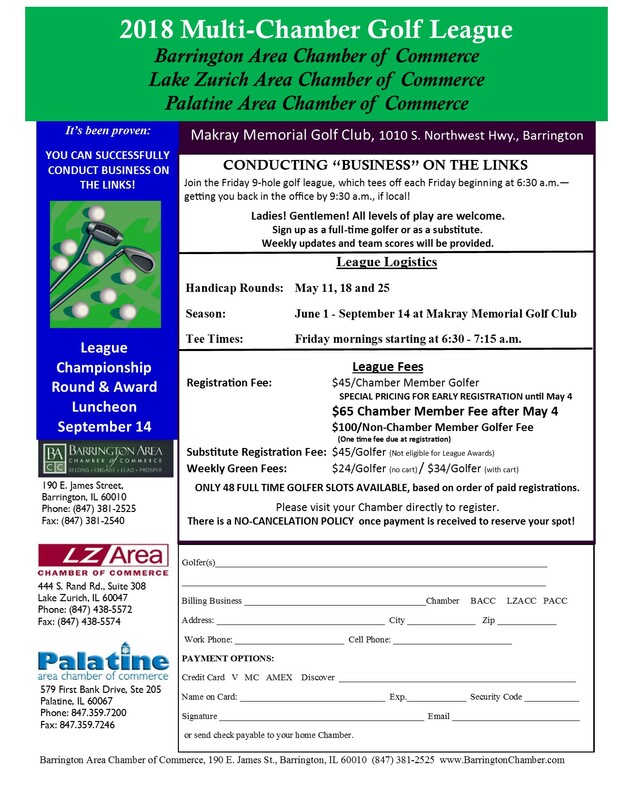 Chamber and Non/Chamber members are invited to join the Friday 9-hole golf league, which tees off each Friday beginning at 6:30 a.m. getting you back in the office by 9:30 a.m., if local! Ladies! Gentlemen! All levels of play are welcome. Sign up individually, as a member of a team of four, or substitute. ONLY 48 GOLFER POSITIONS AVAILABLE, based on order of paid registrations. After 48 weekly golfers positions are filled, remaining registrants will be offered substitute slot that will be called weekly as needed or placed on our waiting list. REGISTER TODAY! Every Friday Morning beginning at 6:30 a.m.